Home » Blog » Are you keeping up with the Joneses? The grass is always greener. You always want what you can’t have. Can I get an upgrade? We all have heard the idioms. When it comes to your pool, many homeowners like to peek over the fence and check out what the neighbor’s have at their pool. My neighbor’s pool clears up much faster or opens up much clearer, and I want what they have. In reality, you need to choose the best filter for you. There are cartridge, DE, and sand variations out there. DE, or Diatomesceous Earth, filters include screens and the adding of DE powder to the screen to help in the filtering process. DE filters have the ability to filter down to the smallest micron of all filters, so it does have the ability to clear up water faster than the other versions. Backwashing is the process of cleaning the filter, which means reversing the flow of the water. When backwashing a filter, DE needs to be added back onto the screens afterwards. With a DE filter, it is typical to also have a separation tank to collect the backwashed DE. This is an added expense and also requires additional equipment at the filter pad. A sand filter operates the same way as a DE filter when it comes to backwashing except filter media does not need to be added back in every time it is backwashed. The sand in the filter does need to be changed about every 5-15 years. It is a rather labor intensive job to do so, but your pool professional can easily handle this task. Cartridge Filters consist of multiple cartridges in the filter that collect the debris as it filters. The synthetic pleated cartridges do not require backwashing, but manual cleaning. To clean, the filter needs to be disassembled and the cartridges removed and cleaned with specific cleaning process involving soaking and spraying of the cartridges. This process can take up to 48 hours, so when that happens it means your filter is not operating which means your pool is not operating. In a typical backyard operation, cleaning the cartridges can take place prior to or after the season to eliminate any down time. My kids are allergic to chlorine so we have a salt water pool. People suspect that there may have a chlorine allergy or sensitivity and opt for a salt water pool. A salt water pool is not filled with salt water from the ocean. Rather, it uses salt in conjunction with an on-site generation system to produce chlorine for the pool. 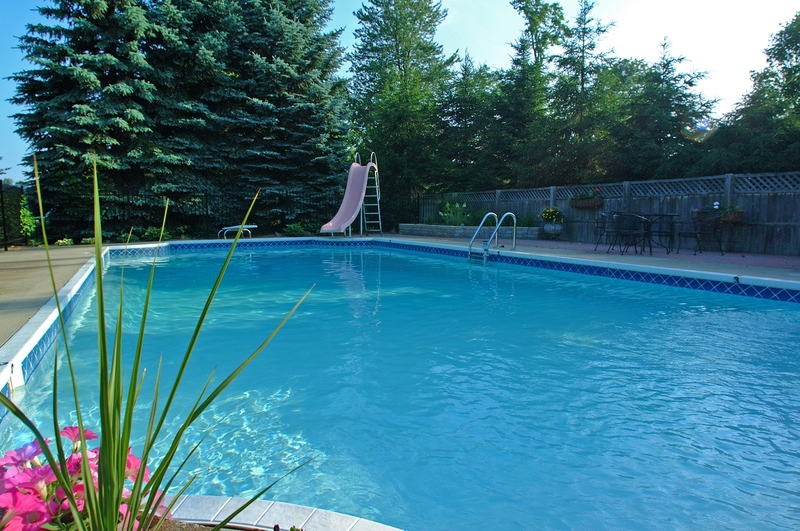 All pools need a sanitizer and an oxidizer to treat the water and ward off disease and bacteria. Having a salt water pool does not mean you do not use chlorine. It means that you are simply generating your own chlorine onsite instead of purchasing and manually adding the chlorine to the pool. 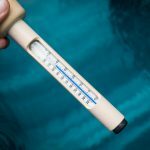 What happens with a salt water pool is that the salt is added to the pool and converted to chlorine through the salt cell via an electric current. The process of converting chlorine to salt can best be explained as Water + Salt (Sodium Chloride) —-> Chlorine + Sodium Hydroxide. So, your pool is still using chlorine to oxidize and sanitize. The chlorine is just being generated instead off physically added. Many people believe that salt water pools have a silky feeling and help increase hair and nail growth. Whatever your preference, make sure you are maintaining proper water chemistry for your pool and bather comfort. I want to be able to control my pool with the touch of a button. Pool automation has advanced into the technological age to coincide with our cell phone dependence. It seems no one will go anywhere without their phones. The pool is of course included. Pool equipment manufacturer’s are aware of this and have developed apps that can control your pool equipment. This means you can adjust your temperature, turn on your pool lights, and turn on and off your system with a swipe or a tap. Just remember to keep the phone away from the pool because sadly not all of them are truly waterproof. Whatever it is that you want, we can help your pool dreams come true. Let us know your thoughts and how we can help you Keep up with The Joneses!